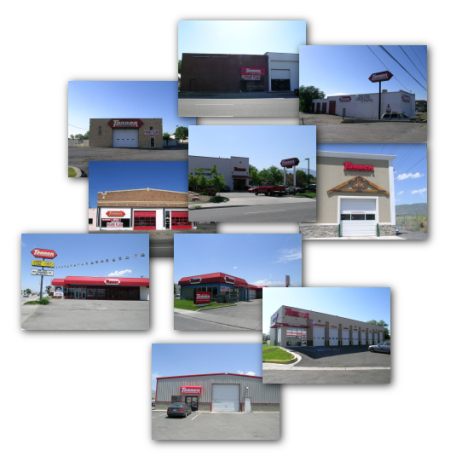 Tanner Transmissions® was founded in Utah in 1978. The company started in a small shop located in Ogden. Since then we've added multiple retail stores and a large manufacturing plant in downtown Salt Lake City. We've been helping Utahns with their transmission problems for over 36 years now! Every transmission is shipped to our downtown manufacturing plant from the retail location. This allows us to centralize all of our quality checks and improve production efficiency. When a transmission is finished and approved, it is shipped back to the retail location and installed in your vehicle. While we have always been on the cutting edge of the industry, over the last ten years we had a vision of moving the transmission industry forward. Thinking differently than the way automotive repair shops have traditionally worked, we set out on a path. Our quality control system is the result of our research and development. Our work in developing the quality control system has allowed us to offer Utahns the best warranty in the industry.